There has been a car ferry service crossing the Kylerhea straits since 1934. However, the closest point to the Isle of Skye has been a crossing point for hundreds of years. It is the first recorded ferry to Skye and is mentioned by Martin Martin in his journal of his tour of Skye in the 1630s. This was also the drove route by which cattle were taken to and from Skye to market in Central Scotland. 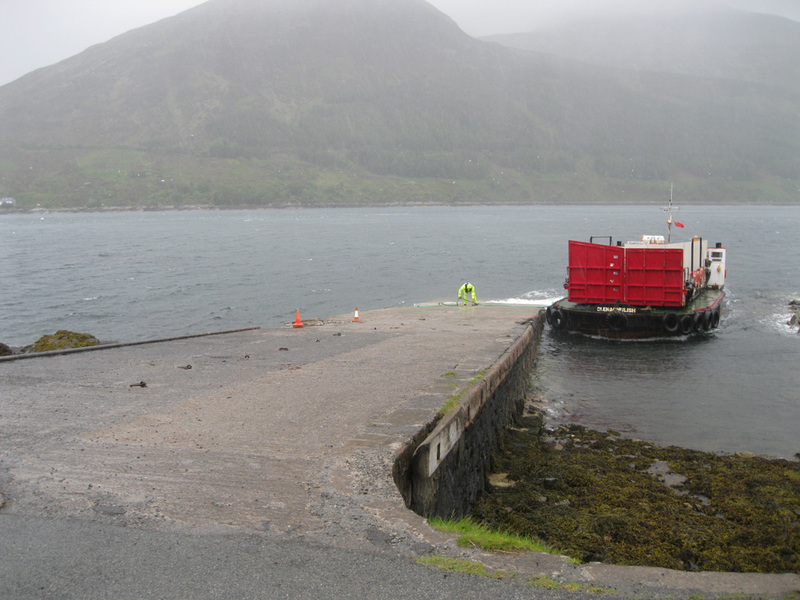 The slipway is situated north of the village of Glenelg. It is built of dressed stone blocks with stone sets on the surface and was designed by Thomas Telford.